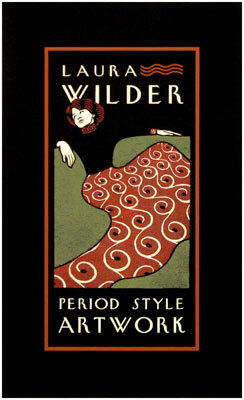 Laura Wilder's limited edition giclee prints and posters are reproductions of her original paintings. 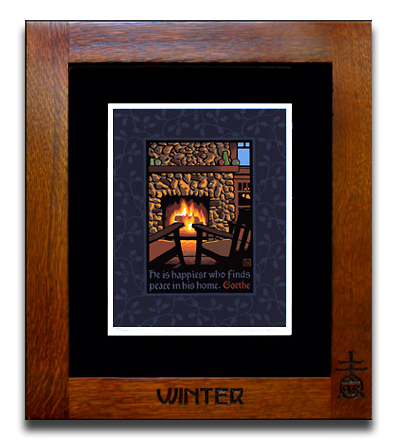 For more information about Laura Wilder and a larger selection of her prints, please see our main Laura Wilder page. 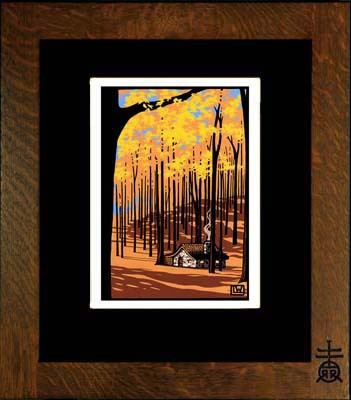 2010 American Bungalow Series: Four Season Limited Edition Prints commissioned by American Bungalow magazine. 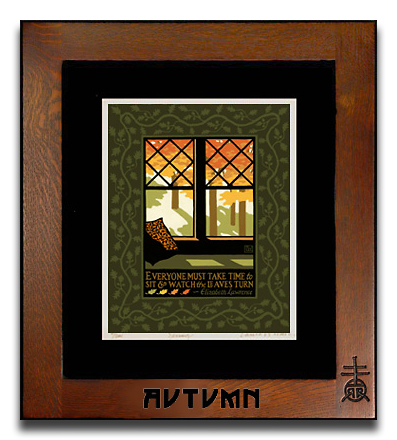 Limited edition giclée prints available framed in Roycroft Renaissance frames for $360 (special order only). 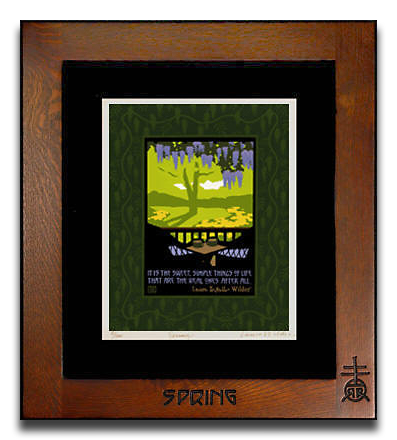 This mission style frame is hand made of quarter-sawn white oak by Roycroft Renaissance Master Artisan Thomas H. Pafk. Thomas uses mortise and tenon joinery with a hand-applied layered finish, which brings out the distinctive ray-flake grain patterns. He then carves the RR mark into the corner of the frame. All frames are made from one piece of wood for grain matching and are signed and dated on the back. 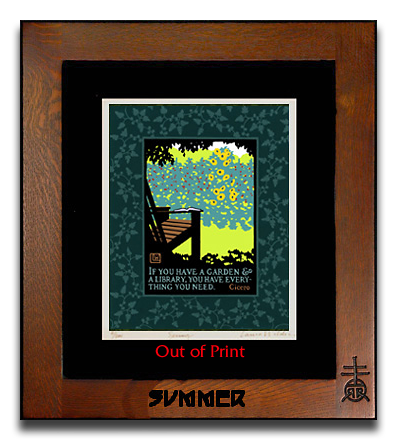 Click on the series for a larger version and scroll down for to see the framed versions as well as "Autumn Cottage" and "Period Style ARTWORK". Unframed $40. Framed in black wood, $90.